We'll help get your fingers and brain working in harmony. 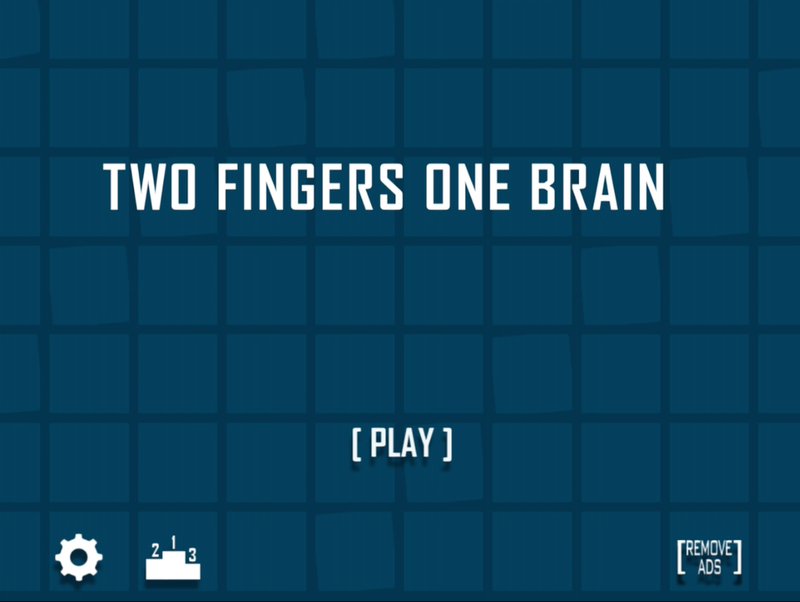 Two Fingers, But Only One Brain is a mobile game that challenges you to complete two simple puzzles at the same time. Available for Apple and Android platforms, players can challenge themselves to over 20 different mini-puzzles with hundreds of combinations. We're going to share our best tips and strategies on how to get your two fingers and brain working as one. How do I Play Two Fingers, But Only One Brain? Two Fingers, But Only One Brain, is a very simple game. Your screen is split in two, and you're challenged to a series of easy mini-games involving puzzles, tap-based objectives and moving objects. The game is so easy that if you had to focus on one task, you would probably find it boring. That's the core of what makes this game fun. You're not playing one simple game, you're engaged in a decision making conundrum of which puzzle to solve first before the time expires. You start off with five chances. Every time you fail to complete the puzzle, you lose a chance and you're one step closer to ending the game. You're in complete control of your ability to beat each puzzle. You just have to select which puzzle is easier for you to solve in the specified timeframe, which is easier said than done. What are the mini-games in Two Fingers, But Only One Brain? The game incorporates simple games that challenge elementary skills that we use daily. We'll go through a few of the mini-games that may need explanation. Tap even or odd numbers - The objective is to tap the numbers identified in the task. You know from elementary school that even numbers (2, 4, 6, 8, 10) are easily divided into groups of two, and odd numbers don't work that way. Identify the numbers that need to be tapped to complete the challenge. You're given a list of numbers that need to be tapped from biggest to smallest or vice versa. If you can count, you'll have no problem. Identify if the answer is right or wrong; it's simple addition or subtraction. From what we've seen, the difference isn't greater than 10, so most calculations can be done in your head. How many of each shape is there? 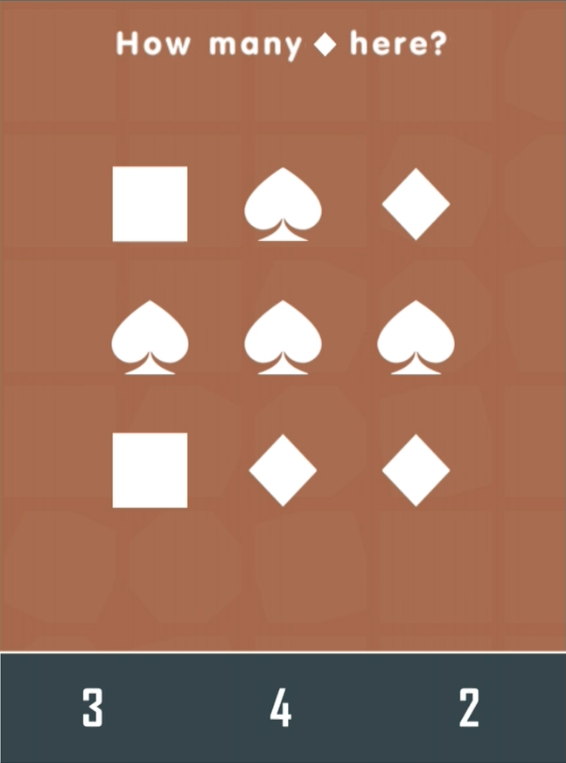 This mini-game tests your ability to recognize and count shapes in the time allotted. Tap the correct number to beat the challenge. Or How man dots are there? 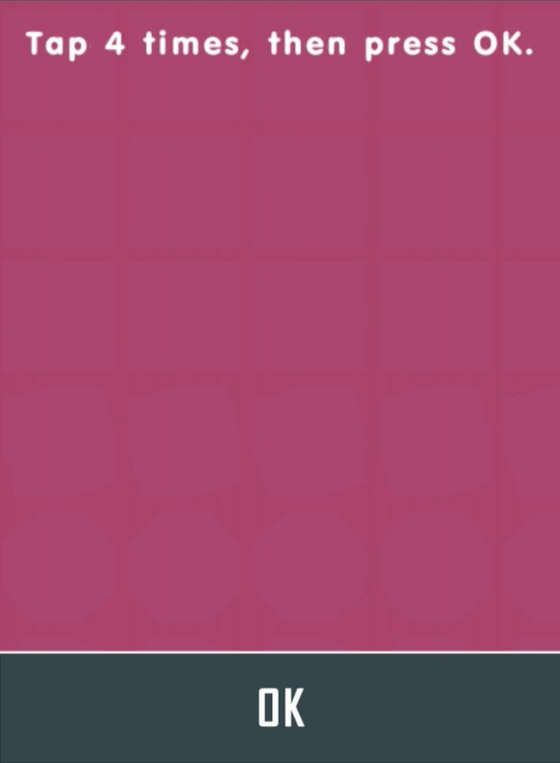 This mini-game tests your ability to recognize and count dots on the die in the time allotted. Tap the correct number to beat the challenge. 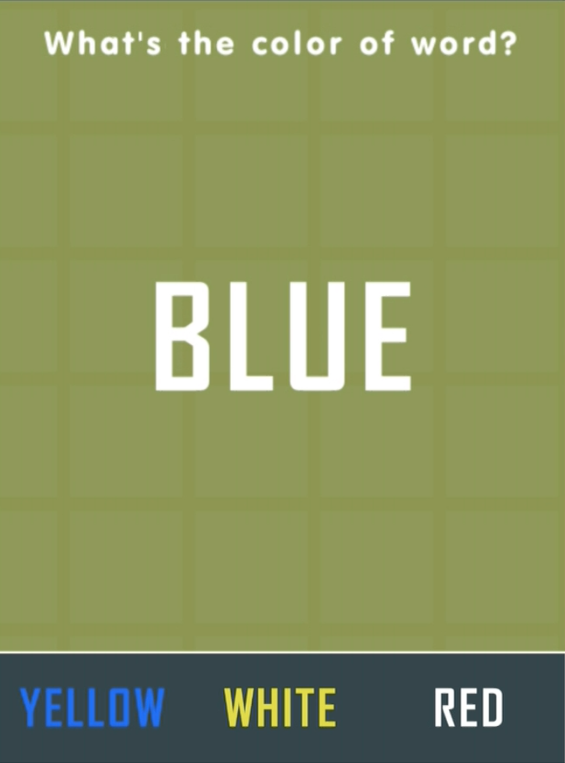 Identifying the color of the word seems simple enough. The trick here is to not get tripped up on what you see and what you read. Tapping the space a certain amount of times can seem easy enough, right? 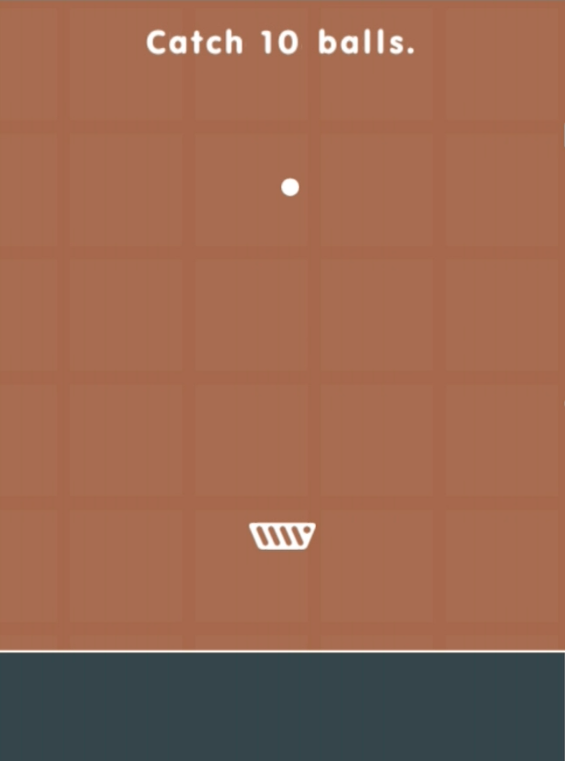 Couple it with another tap mini-game and you may get confused. Catch the balls to beat the challenge is an easy game that requires motor skills and concentration, especially when you have another game to keep you distracted. 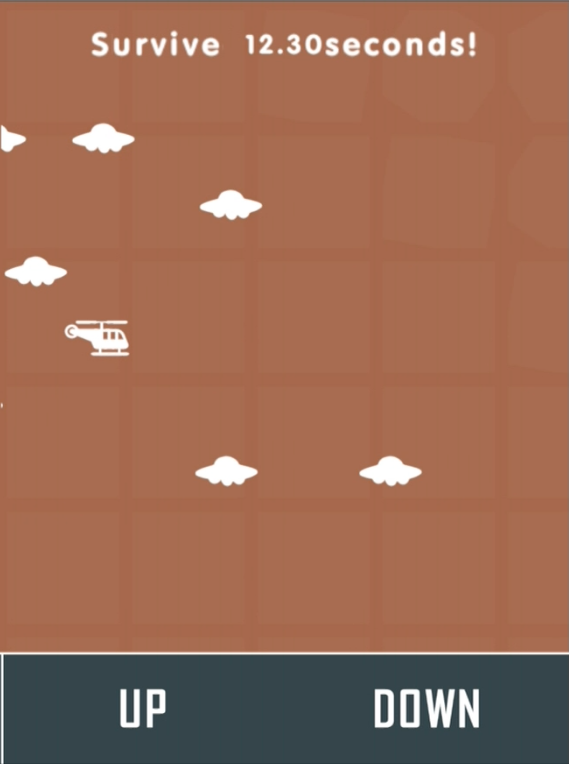 Steer the chopper clear of the flying UFOs. 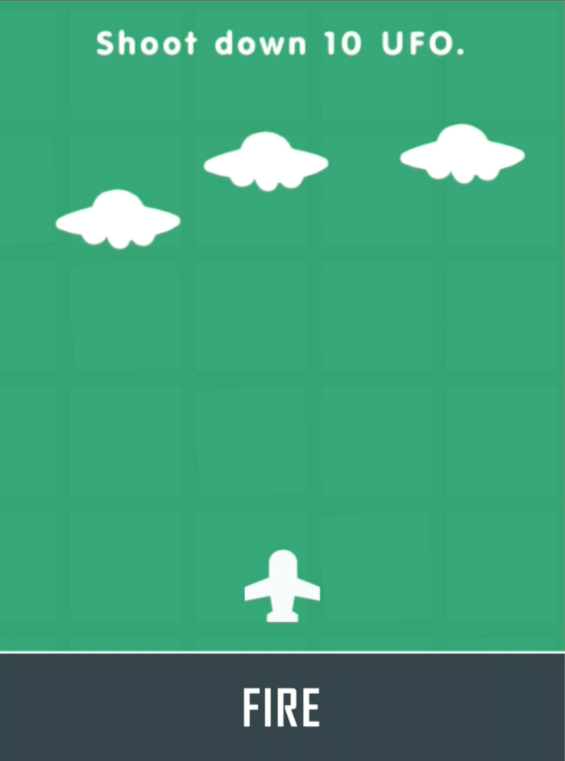 Tap up or down to avoid a head on collision with the invading aliens. 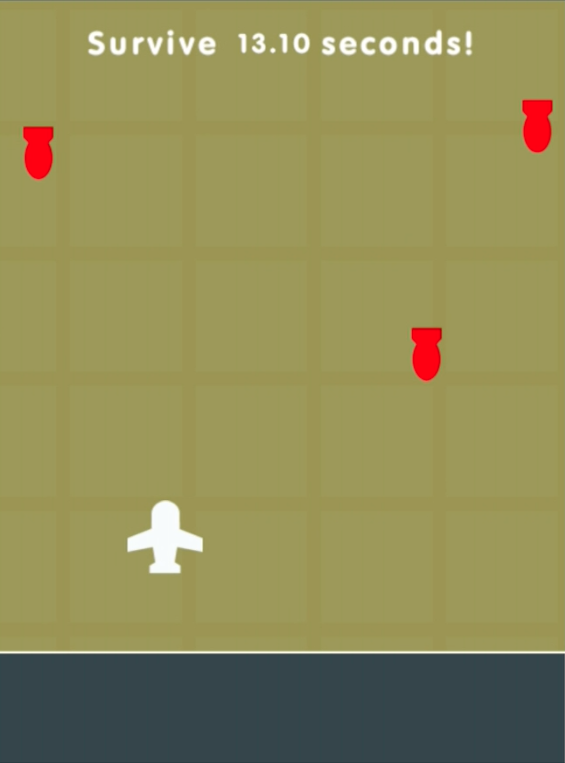 Another game of survival, this one requires you to avoid contact with bombs. 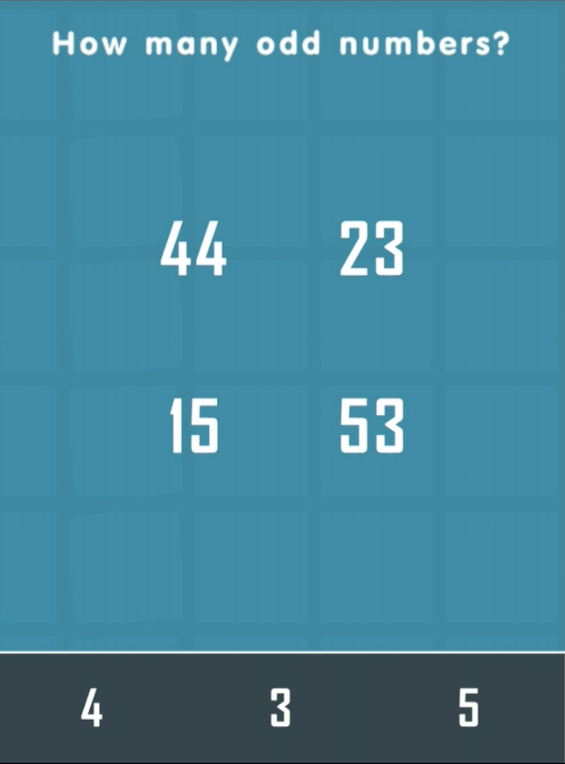 Tap the numbers in ascending or defending order. Thank your first grade teacher for making you do that math homework correctly. 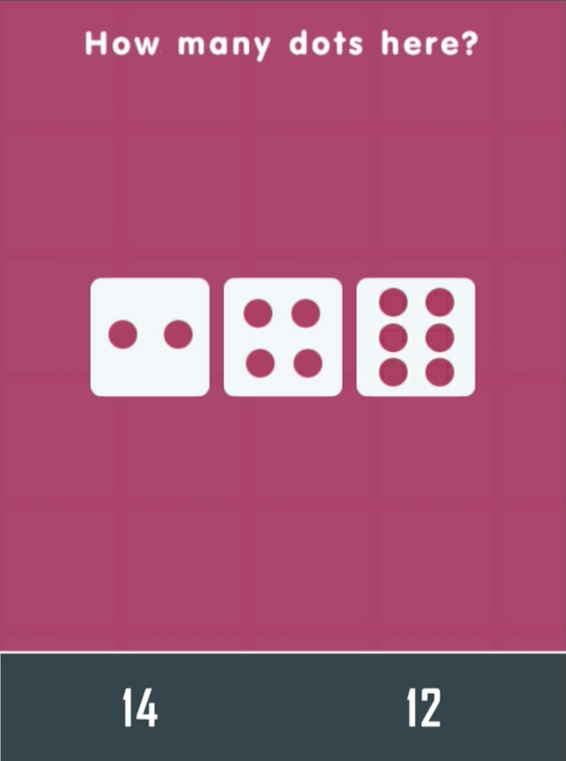 This is one of the game's trickiest puzzles, as you have to identify which hand (left or right) the image corresponds to. This takes us back to Comp Sci 101 without the headache. 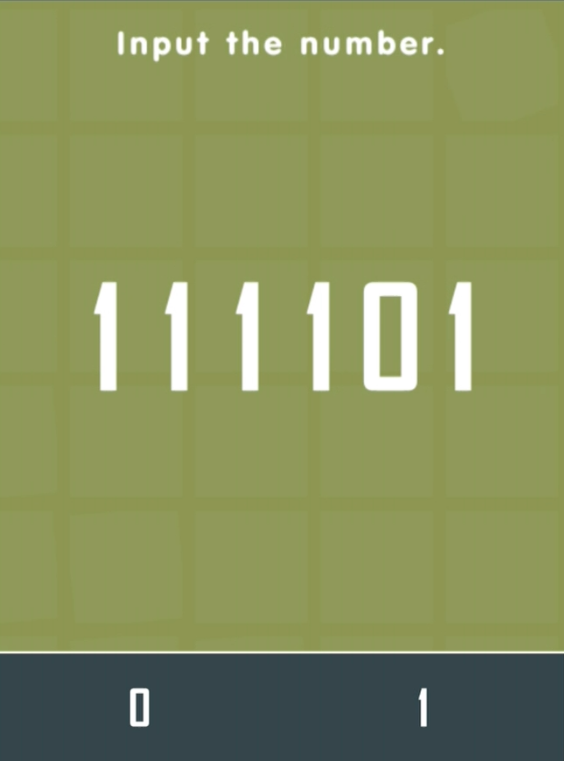 Enter the 0 or 1 in the correct sequence to beat the challenge. 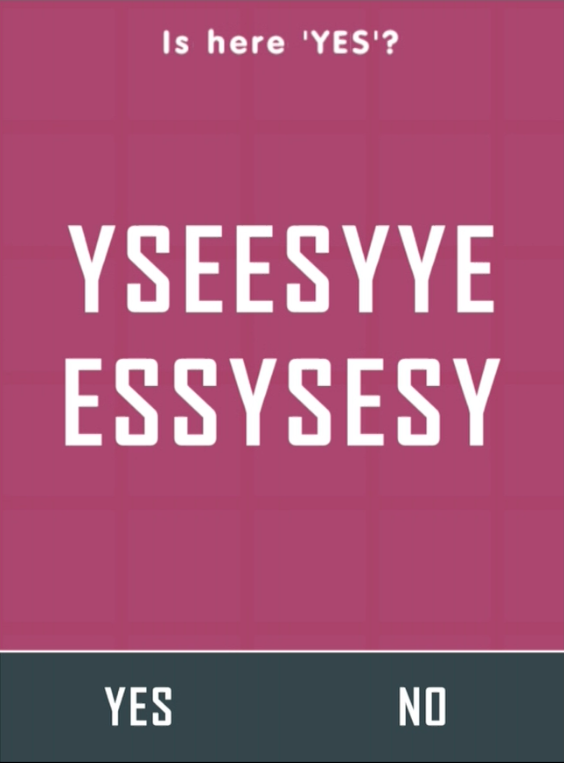 Can you identify the word YES in the group of letters? At first, this should be an easy challenge for anyone to complete. How do I win at Two Fingers, but only one brain? You now have a good idea of the various mini-games you'll encounter, and you're probably wondering how can this be difficult. Simply put, you get pulled in quite a few directions. 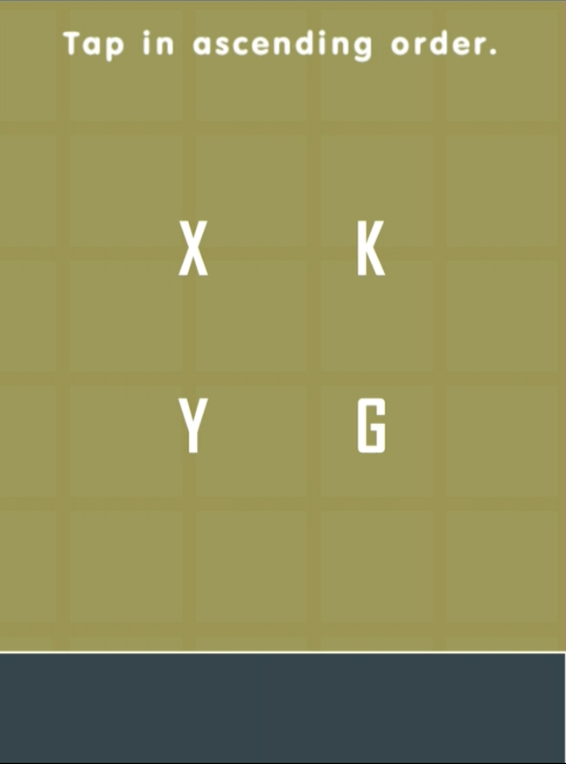 The timer is counting down, you're looking at a puzzle that seems easy, but you're also trying to dodge a UFO in the second half of the screen. The secret is to focus your mind on the harder task first. Focusing on the harder games will allow you enough time to complete the easier ones soon after. Practice this strategy and you'll achieve a high score. Remember that focus and concentration is the key to getting a high score within the game. How much does it cost to play Two Fingers, But Only One Brain? Two Fingers, but one brain is free-to-play. Can I play Two Fingers, but only one brain with my friends? 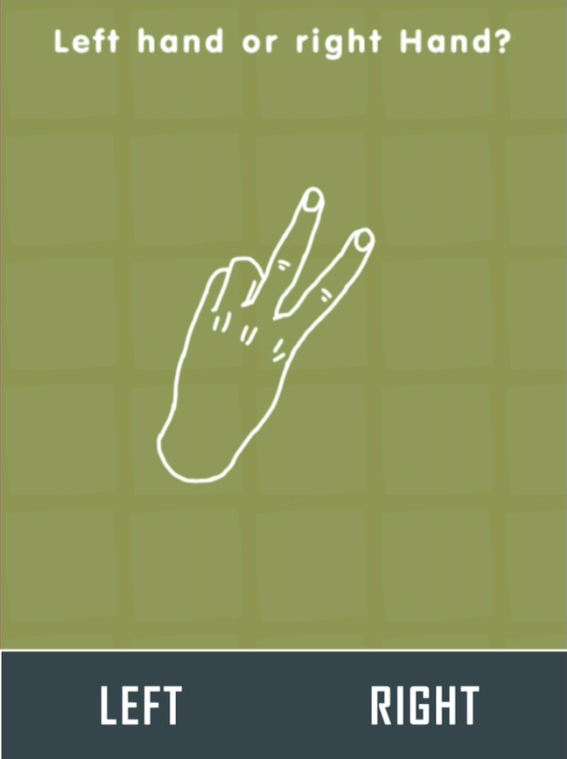 Two Fingers, But Only One Brain isn't a multiplayer game, but you can challenge your friends through the Game Center for the highest score. Now that you have a few tips and strategies for playing Two Fingers, But Only One Brain, go and attain the highest score possible and share your tips and strategies in the comments below.